An incubator of artistic energy. The center of Chicago's dance history. 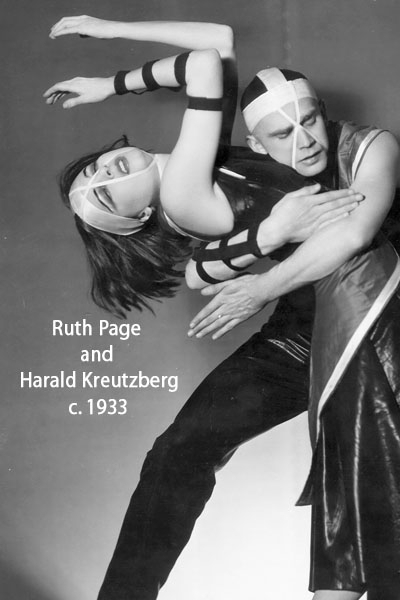 The Ruth Page Center for the Arts carries forward the mission and vision of its founder, international dance icon Ruth Page, to be a platform for developing great artists and connecting them with audiences and community. With a primary focus on dance as a critical art form, its programming ensures that children and dance artists have a place to train, work and perform at the highest level of excellence. Under the aegis of The Ruth Page Foundation, a 501(c)3 non-profit charitable organization,The Ruth Page Center has for over 46 years committed its resources to a unique combination of artistic programs that impact over 40,000 children and adults. The Center’s mission not only serves artistic development but also community development. There is no other organization like it in Chicago housed within a single entity with this history, commitment and impact. Located just steps from Michigan Avenue's Magnificent Mile, Chicago's shopping, dining and cultural mecca, the historic 1927 building in which The Center resides sits on a lovely tree-lined street in the heart of the Gold Coast. A well-respected and nationally recognized center for dance in Chicago, The Ruth Page Center for the Arts been training professional dancers, presenting and promoting the finest dance performances in the city, and mentoring small to mid-sized arts organizations who call The Center home. Founded by Chicago icon and internationally-renown performer, choreographer and dance patron, Ruth Page, The Center reflects her vision of supporting dance excellence in Chicago. Emanating from the Illinois heartland, the visionary work of Ruth Page influenced the growth of theater design, opera-ballet, and dance. She achieved worldwide recognition as a true pioneer of dance in America by creating at the forefront of social, political and artistic issues. As a prominent force in the Chicago arts community, the Ruth Page Center for the Arts continues that legacy through its initiatives and programs that nurture the artform of dance, and by being an arts incubator for emerging and established artists and organizations. Chicago's first ballet company, Chicago Ballet, had its roots here. Lookingglass Theater and Chicago Shakespeare Theater have both called The Center home before moving on to establish their own venues. The John D. and Catherine T. MacArthur Foundation; The MacArthur Fund for Arts and Culture at Prince; David and Lynn Kravis Family Foundation; The Richard H. Driehaus Foundation; ArtsWork Fund for Organizational Development; Eugene and Sasha Jarvis Fidelity Charitable Gift Fund; Farny R. Wurlitzer Foundation; Weil Foot & Ankle Orthopedic Institute; Wayne and Sharon Wellman Family Foundation; Illinois Arts Council, a state agency; The John Buck Company; NIB Foundation; The Anne E. Leibowitz Fund; The Cliff Dwellers Arts Foundation; Athletico; and countless individual supporters. • The Ruth Page School of Dance provides the highest level of training to young dancers and professionals. The School is considered to be one of the country’s finest dance education centers, creating not just dancers but artists. The School also awards over $60,000 a year in tuition wavers to talented students. The professional dance training program is available for children between 3 and 20 years of age. 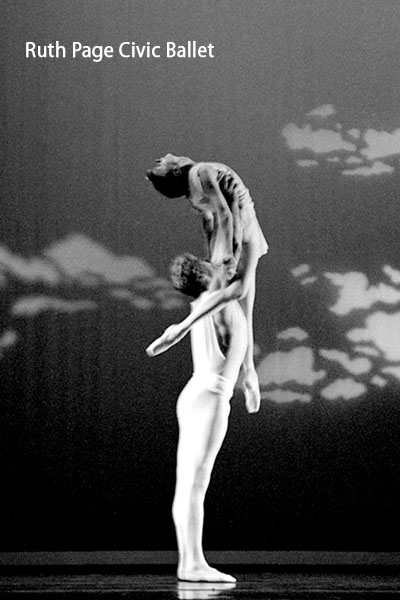 • An important component of The Center is the Ruth Page Civic Ballet, one of its Artists In-Residence. 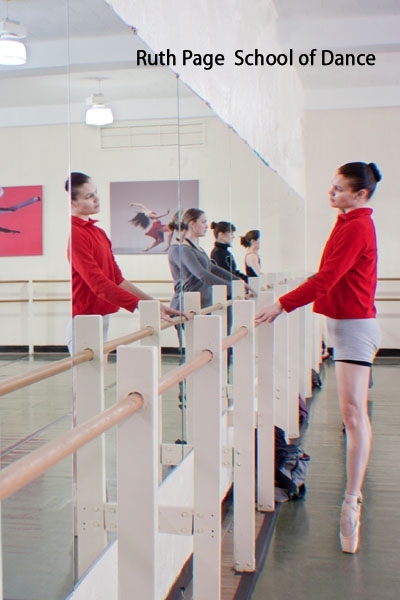 This small classical company of talented young dancers is now in its 17th season and serves as a bridge between ballet training and professional performance. Members of the company will train in this program before moving on to national and international professional dance companies. 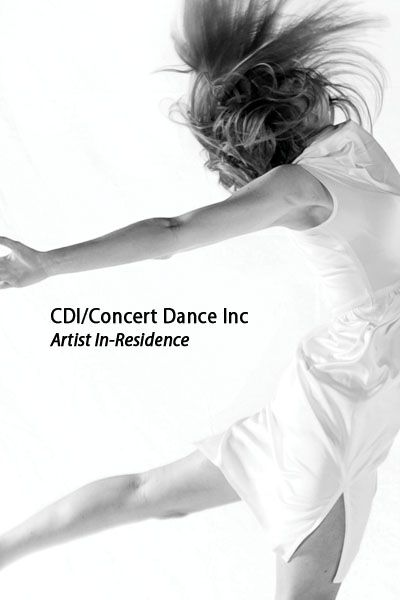 • The Ruth Page Artist In-Residence Program is an incubator for small to mid-sized dance and theater organizations designed to serve those looking for a home-base while they grow or expand their artistic and organizational capabilities. Additionally, the Program also provides support for shared resources and marketing opportunities that will help to promote and expand their audience base. Lookingglass Theater and Chicago Shakespeare Theater both developed their support base within this program before moving to their own venues. Companies currently in residence are: American Blues Theater, CDI/Concert Dance, Inc., Chicago Children's Theater, DanceWorks Chicago, Ruth Page Civic Ballet and ShawChicago Theater Company. 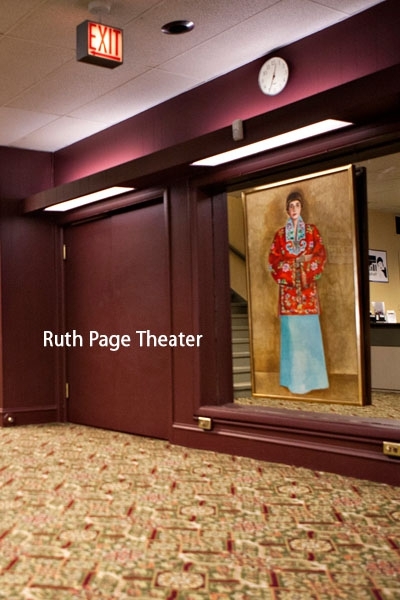 • The Ruth Page Subsidized Theater Rental Program is a subsidized rental program that allows professional performing artists to present their work at greatly reduced costs within its 218-seat theater and four dance studios. Acting as a silent partner, The Center contributes two-thirds of the operating cost, helping companies meet their artistic and financial goals while reducing the financial burden of a Chicago engagement. On average, over 20 different performing artists and dance companies annually present their programs here. 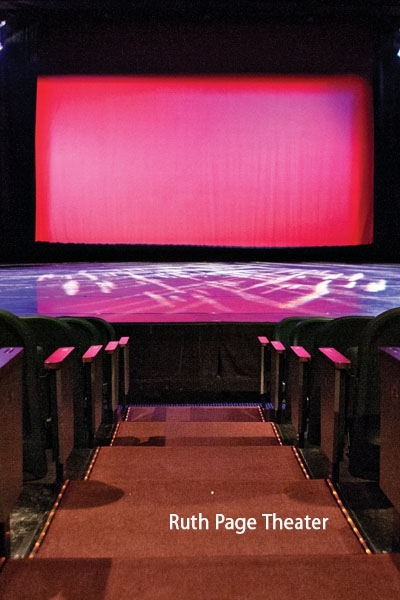 • The Ruth Page Center for the Arts presents two dance festivals which support local Chicago dance companies as well as the creation of new works by gifted choreographers. The Ruth Page Dance Series, co-sponsored in conjunction with Northeastern Illinois University and ranked by U.S. News and World Report as the most ethnically diverse university in the Midwest, brings dance to this traditionally underserved area of Chicago. The Ruth Page Festival of Dance at Ravinia presents local, national and international dance companies in co-sponsorship with the Ravinia Festival, creating a dance focus where audiences can see different styles of dance on several stages throughout the park. • The Center’s outreach programs introduce dance to children throughout Chicago. “Every Kid Can Dance!” for the Union League Boys & Girls Clubs provides children between the ages of 8-12 in the Pilsen community with the opportunity to introduce dance as a fun, creative and stimulating activity while addressing the physical, emotional and intellectual development of each child. The Chicago Children’s Theatre works with The Center to bring Chicago public school children, many that will be experiencing theater and dance for the first time, to the Ruth Page Center for their performances. The MacArthur Foundation supports the Ruth Page Center for the Arts not only because of its own artistic and educational work, but because of the important role it plays in helping other small dance companies and the dance community in Chicago overall. Ruth Page is important to ensuring that small and mid-sized dance companies have an affordable, supportive place to create and perform their work.